Try something a little wild this Friday, tame a Grizzly Bear cocktail! The Grizzly Bear is a like a flavorful milkshake with coffee, almond, and herbal flavors. The cocktail makes use of a German digestif, Jägermeister–made from herbs and spices–which gives the drink a little kick, or should I say claw? This concoction is likely a more recent creation, as far as mixed drinks go, probably appearing on the scene sometime in the 1990s. In a shaker over cracked ice, pour in equal portions (1 ounce each) of Kahlua, amaretto, and Jägermeister. Add in 2 ounces of milk. Shake and then strain into an old-fashioned glass with or without cubed ice. How I like it: The proportions of milk used varies by recipes from as little as 1 1/2 ounce to 2 1/2 ounces. Using 2 parts milk to 1 part of the other ingredients makes for a nice balance. For an extra sweet and smooth taste, consider using cream if you don’t mind the extra calories. I used 1 1/2 ounce cream for my version. Jägermeister, means hunting-master, so master the bear and drink responsibly! What is jagaermeister???? And where do you buy it??? 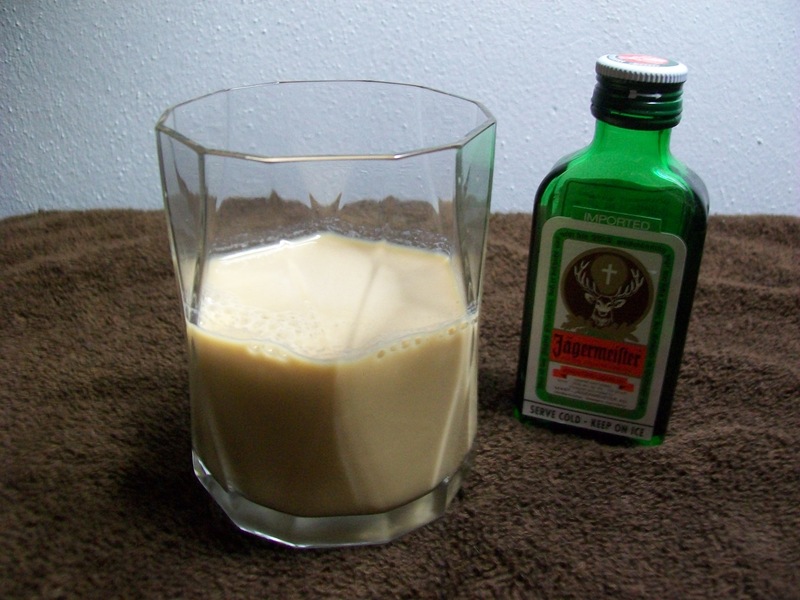 Jägermeister is more readily available than most specialty liqueurs, like Crème de Violette or Lillet Blanc. You should be able to find it in most liquor stores. For more about Jägermeister, click here.